From our exclusive collab with Lollapalooza. 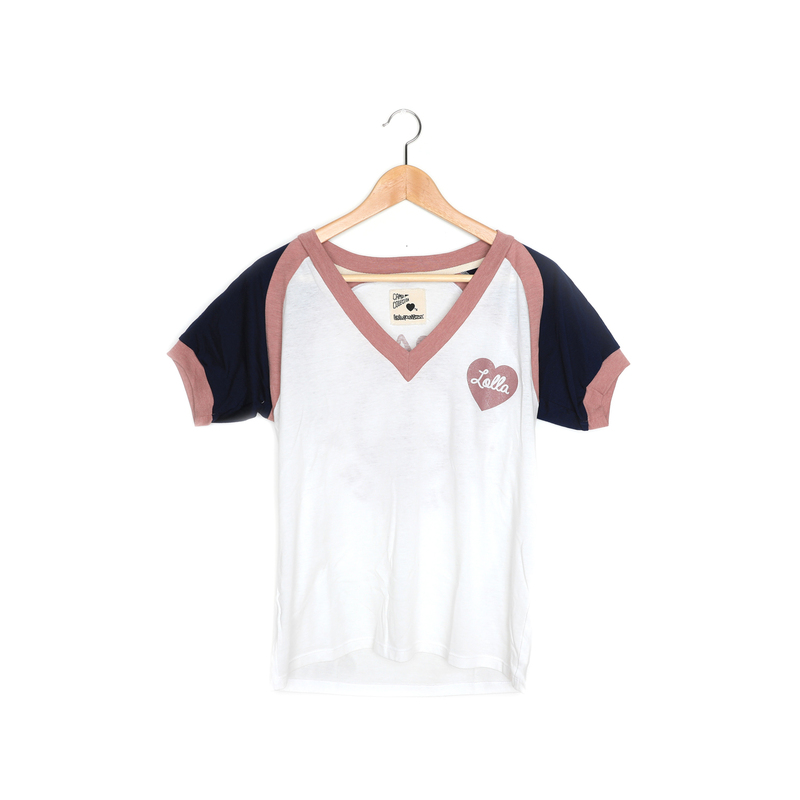 Short sleeve v-neck tee with contrast color panels at raglan seams. Front graphic: Lolla inside a heart. 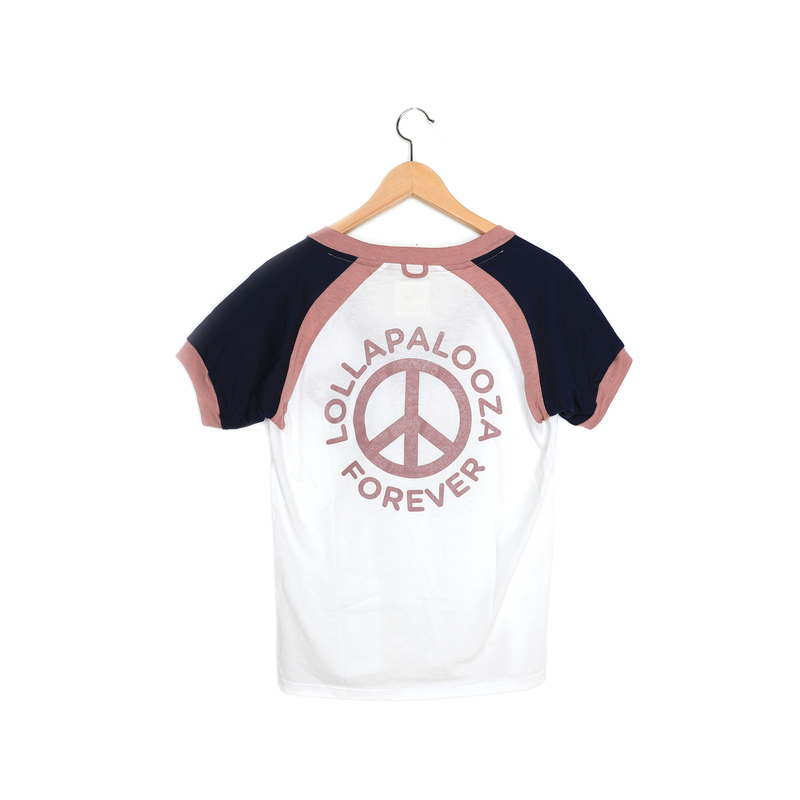 Back graphic: Lollapalooza Forever with a peace sign. Locker loop at back neck. Slightly sheer vintage white jersey.